In Katie’s latest How to Scrapbook feature, she showed us how to add recycled materials and scrap craft supplies to your scrapbooking layout with this beautiful Santoro Mirabelle page. With the free printable templates, we created this beautiful patchwork card using the brand new Santoro’s Willow papercraft collection. Make as many desk containers as you need for your craft room or office with our free printable template and easy step by step tutorial. Personalise your clothes with our DIY t-shirt tutorial using the Cricut Explore machine, perfect if you want to make a unique gift for someone special. Add wow factor to your home décor with this stunning Dovecraft Butterfly Cloche Home Décor Tutorial, ideal if you want to make an impressive centrepiece for your home. Our latest Card Shape of the Month was this sweet Easel Stand Up Card! You can learn how to make it with our free printable template to download and keep. We have used the First Edition Kaleidoscope papers to make this on trend DIY Monogram Wall Art project, just the thing for injecting colour to your empty walls. Make your cards come to life with our pop up card tutorial. Our easy to follow guide features 3 handmade cards with varying levels of difficulty for new and experienced crafters. Finally looking for card inspiration to congratulate someone on their new abode? We have put together a tutorial showing you how to make 4 unique cards with our free templates. 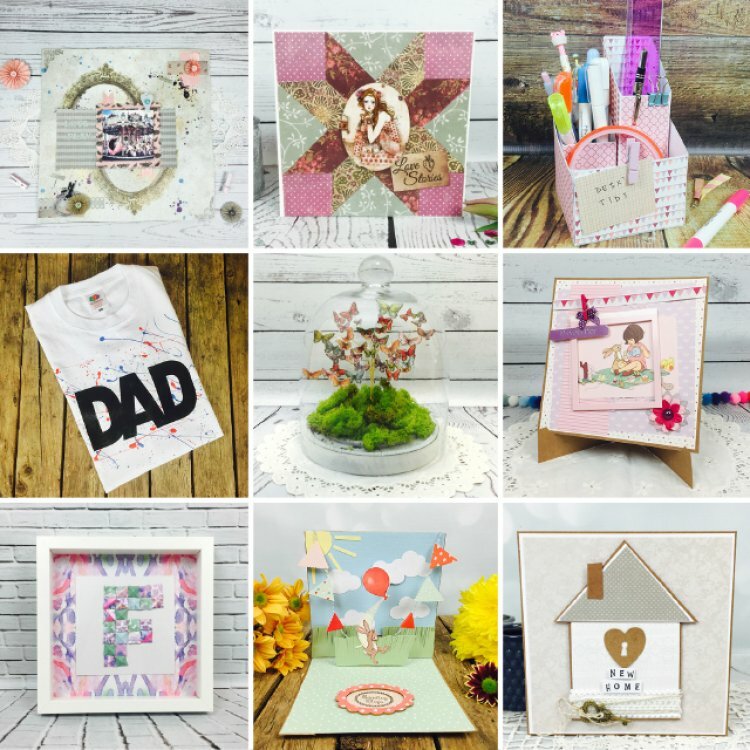 Which craft project was your favourite from June? We would love to hear from you so just comment below with your top tutorial.